The number of people living on our streets continues to rise to emergency levels along the coast. As economies rebound and housing markets soar, so does the population of those who find themselves without a home. Despite the state of the economy, levels of homelessness continue to rise in many communities, none more prominently than those along the West Coast. Cities like Seattle and Los Angeles are known for their lack of affordable housing. They’re also battling a crisis of homelessness that seems to know no end. The increasing gap in income stability coupled with the housing shortage spelled disaster for many living on the edge of financial viability. Each year, service providers like the Bell Shelter house more people, yet the number of those living on the streets keeps increasing, he said. But service providers on the West Coast have reason to believe things will improve. For reassurance, they look to their neighbors and fellow citizens. Now more than ever, they say, communities are working together to find solutions and fight homelessness. Take Los Angeles, for example. About 10 percent of the nation’s homeless population—nearly 53,000 people—live in L.A. County. Residents voted to tax themselves in order to raise money to combat the growing problem in 2017. About 10 percent of the nation’s homeless population—nearly 53,000 people—live in L.A. County. In cities across the West, politicians have declared a state of emergency for homelessness to help free-up resources. In Hawaii, community members banded together to create a housing complex for 30 families. Everything from the land to the lumber, refrigerators and sprinklers was donated by local businesses and concerned citizens. Politicians and local leaders are doing more, too. Governments typically declare a state of emergency in response to natural disasters, like a hurricane. But leaders in several cities in the West have used the declarations to tackle the mounting crisis of homelessness. The proclamations help release much-needed funds and speed plans through an otherwise tortuous political process. Stennett acknowledges it’s not the most positive reason—people ideally should want to help others regardless of how it affects their lives. But when the homelessness epidemic continued to grow and the impacts were unavoidable, that’s when communities could no longer ignore the reality. It’s also when real change started to happen. In Los Angeles, for example, the rise of homelessness became undeniable. Previously, encampments were limited mostly to Skid Row, an area outside of downtown. But as the number of homeless grew, their presence expanded. Finally, Stennett said, people realized something needed to be done. Tax increases are notoriously hard to pass and usually take multiple rounds on the ballot to find success. But Measure H, a ballot initiative to increase taxes to pay for resources to help those without permanent housing, passed on its first attempt. “Basically the community said, OK, if you’re going to use this money to help the homeless, you can tax me higher to get this done,’” Stennett said. The 10-year, quarter-cent sales tax increase went into effect in July 2017. Over the next decade, revenue from the tax will target multiple areas: (1) Deploying outreach teams to help homeless individuals with immediate needs while then working to get them housed. (2) Developing temporary housing options. (3) Creating a rapid rehousing program. (3) Providing supportive services like job training, substance abuse counseling, and mental health treatment. L.A. has gone through “a pretty startling expansion” of homelessness in the past decade or so, Lytle said. And things weren’t easy before that either. Truly combating the problem will take more than a 10-year plan. And Lytle isn’t sure homelessness will ever really go away. Still, that doesn’t stop individuals from trying. In Honolulu, Anna Stone and her team care for those who are experiencing homelessness and help them regain homes, jobs and quality of life. Just as voters in Los Angeles County rallied to make a difference, citizens on Oahu have banded together to help address the growing rate of homelessness, Stone said. Stone points to Kahauki Village as an example of what can happen when members of a community come together. The village provided 30 long-term homes for individuals and families in need of housing. The village even has Wi-Fi and a childcare facility, Stone said. Plans for phase two are already in the works, Stone said, so the village can help even more families. In coastal cities, the increasing gap in income stability coupled with the housing shortage spelled disaster for many living on the edge of financial viability. In Seattle, politicians declared a state of emergency for homelessness to help free-up resources. 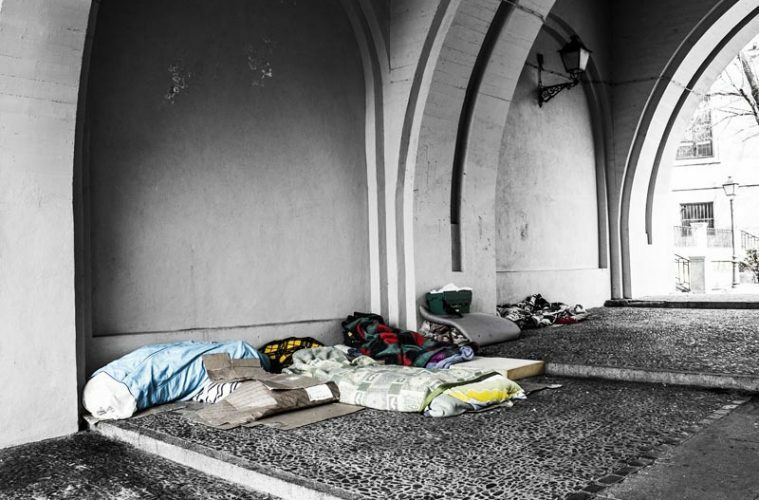 The local newspaper launched a new reporting initiative, Project Homeless, to explore the region’s complex, troubling problem with homelessness. The newspaper hopes watchdog reporting and storytelling will help spotlight what is working and what isn’t when responding to homelessness. There can be a drawback to so much community input, though. As the severity of the problem grows, more people are eager to help. But those who aren’t steeped in the history and complexities of homelessness might find the problem easier to solve than it really is, Stennett said. In an effort to help, some people come up with quick solutions, like building container homes or tiny homes for everyone. Solutions like that sound great, Stennett said, and might work in limited locations. But ultimately, it’s a short term solution that hides people people away. And many of these projects don’t meet the criteria and standards for a human to live in a long-term home, Stennett said. In order to find a long-term, more permanent solution, Stennett said decisions need to be made that can help integrate people into society with communities that are willing to accept others as their neighbors. Volunteer your time with The Salvation Army. Listen to and pray with clients as they wait in line at the food pantry. Help collect and sort donated food or pack food boxes. Answer the phone to provide information to callers. Help set up, serve and clean up meals. Plan a non-perishable food or essential item drive or donate items that are most needed. Visit volunteer.usawest.org to find and contact the location nearest you. Visit westernusa.salvationarmy.org to learn more, give to support the effort and find ways to join the fight for good.